In order to navigate the strict and often confusing regulatory landscape with more ease, organizations adopt harmonized and consolidated compliance policies that facilitate the management of enterprise information. Given the rapid advent of social media for business, an archiving and monitoring strategy that begins and ends with just email no longer matches up with the reality of day-to-day operations for the majority of businesses. 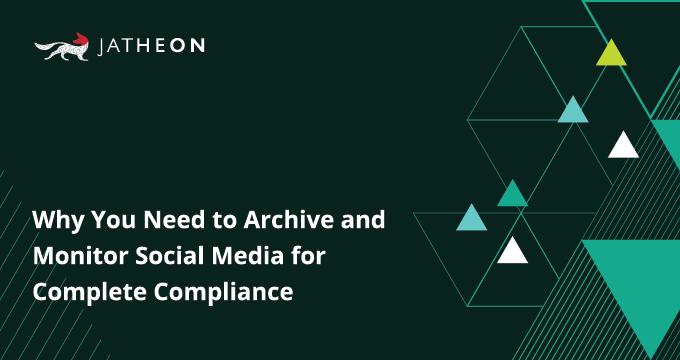 Many regulations, including FOIA, FRCP, HIPAA, SOX and GDPR, have been amended to include the archiving of all social media activity in a compliant format for a specific period of time. how to choose the right archiving solution for your organization.